Promotion begins August 1, 2018 and lasts until December 31, 2018. Do you ever have those moments when you think something might sound too good to be true? Reading over this blog post might start that idea brewing at first. But, we assure you – what you are about to read is very much true! 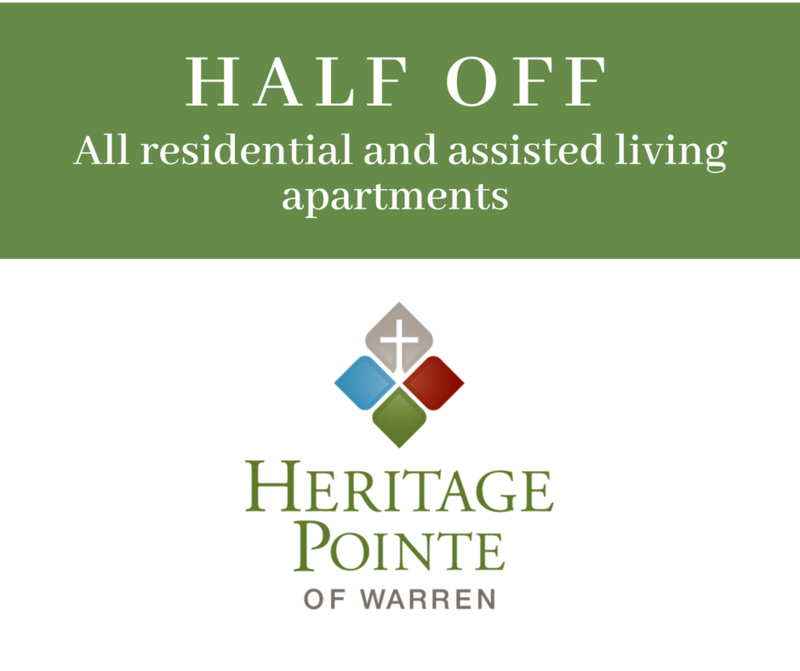 Beginning August 1, 2018, Heritage Pointe of Warren is offering Residential Apartments and Assisted Living Apartments at 1/2 off the monthly rate. 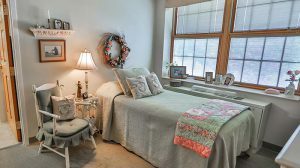 The promotion will run from Aug. 1 through December 31, 2018 and is for new residents only. Please come by our building soon to take a tour, meet some of our people, witness first-hand our outstanding Christian environment, and see the apartment layouts. Call Dawn today at (260) 375-2201 ext 4252 or email her at dshane@ummh.org. With an offer like this, these apartments will go fast! Call or email today.